At long last 9 Steps the Book is finally ready to be launched. 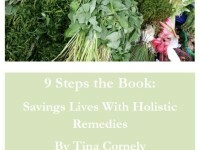 9 Steps the Book started out as 9 Steps to Eradicate Poverty. A labor of love to find simple solutions to help the poor become self sufficient by turning adversity into opportunity. As it turns out it became a journey into the past with lessons and rediscoveries of how our ancestors survived with low tech solutions and remedies. A journey of a 1000 miles begins with a single step and in this case it begins with a single click. Together with the help of my friends, the internet and social media the journey of a 1000 miles can advance at warp speed. This book is not copy written as it was meant to be shared. Please print and distribute to NGOS across the globe and anyone in need. Saving lives has never been easier. I invite you to join me on this campaign to end poverty with just a click. To view 9 Steps the Book in book format simply click below and reduce the scale to 75%. To view 9 Steps the Book translated into Spanish click here 9 Pasos para Erradicar a la Pobreza.